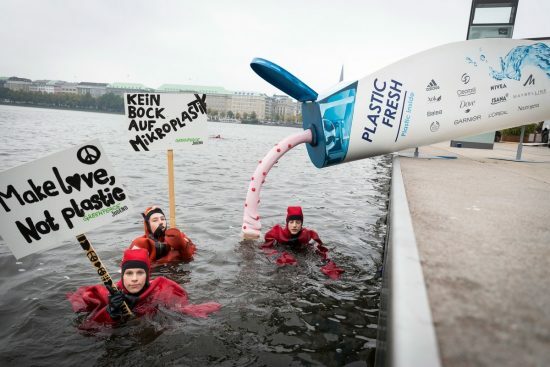 On 15 October 2016, accompanied by a three-metre long cosmetic bottle made of wood, about 70 youths took a dip in the Binnenalster in Hamburg to call for a ban on plastic in the manufacture of cosmetics. 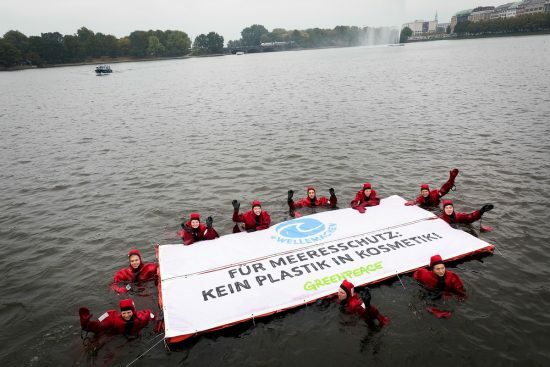 The tagline “#Wallmachen für Meeresschutz: No plastic in cosmetics” can be read on the five by 2.5 metre banner floating on the river. “We do not want plastic — not on our bodies, not in our rivers and seas,” said Sarah Niknamtavin, 17. 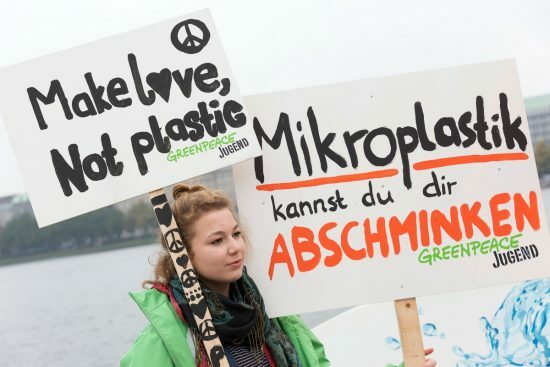 This summer, after trying in vain to persuade cosmetics manufacturers to voluntarily stop using microplastics, Greenpeace has shifted its focus on the youth. 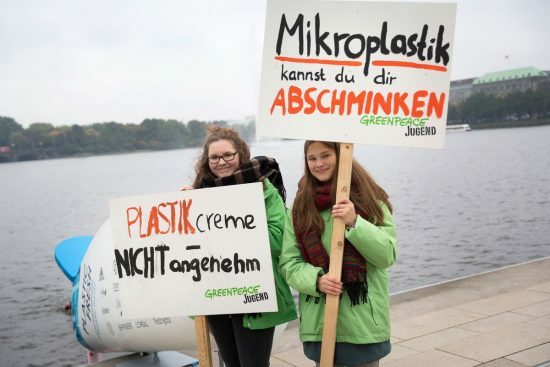 Last weekend, they organised a protest at the Binnenalster (Inner Alster Lake) in Hamburg where the youth were seen asking the public for signatures to petition Federal Environment Minister Barbara Hendricks to legislate a ban on plastics in cosmetics. Every day, plastics from exfoliating agents, shower gels and other cosmetic products pass through our sewage into rivers and seas. Such items contain tiny plastic particles like abrasives, filming or filling agents. Liquid and waxy plastics are also used in cosmetics and personal care products, despite the availability of alternatives. “Natural cosmetics don't have plastics. For other cosmetic products, you have to check the ingredients listing on the packaging carefully to identify those products with plastics. 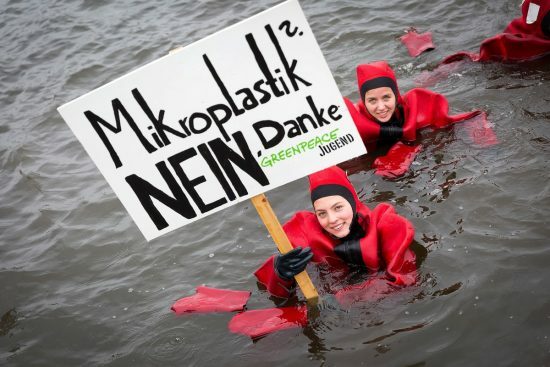 Who wants to smear plastics in their face?” said Niknamtavin, pointing to the list of common plastics. Beside her, other youths were busy distributing the list to passers-by. Plastic is not biodegradable and remains in the environment for decades or even centuries. 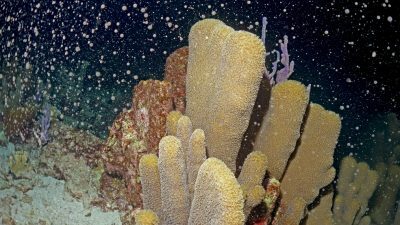 At the same time, they accumulate on pollutants which are already present in the water. Thus, microplastics is physically and chemically the problem. 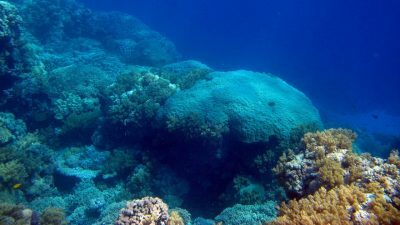 Over time, they will break down into smaller particles called microplastics. 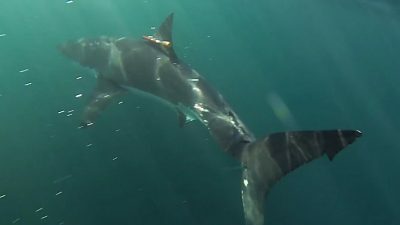 In the food chain, scientists have already detected the presence of microplastics, not only in the smallest zooplankton, but also in fish and seafood such as tuna, cod, mackerel, mussels and North Sea shrimp. 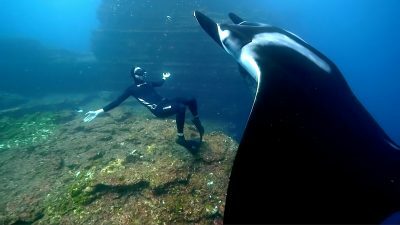 A recent Greenpeace report summarises the current state of research (as we reported here ).